Image Courtesy Mason Poole/Beyonce.comBeyonce seemingly has refueled cheating rumors by publicly implying that Jay Z might have cheated on her. The singer changed a telling lyric in the song “Resentment” while performing live during the couple’s On the Run Tour in Ohio on Saturday. 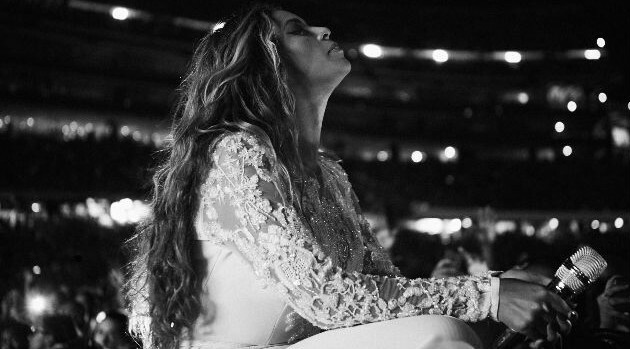 Fan footage was posted on YouTube that shows Beyonce in white wedding attire and matching veil while belting out to the song, which is about a woman who was cheated on. Her 2006 song, lifted from her sophomore album B’day, originally featured the lyric: “Been riding with you for six years.” However, the singer altered it to “been riding with you for 12 years,” which is the same amount of years she’s been with Jay Z — they began dating after recording their hit track “Bonnie & Clyde” in 2002.